When one proceeds with practice, different practices lead one to become different kinds of immortal. Master Ludongbin (吕洞宾), Daoist master from the Tang Dynasty (8th century A.D.), described 5 types of immortals: Ghost Immortal (鬼仙), Human Immortal (人仙), Earth Immortal (地仙), Spirit Immortal (神仙), and Heaven Immortal (天仙). 1) Ghost Immortals are the lowest of the five，liberated via yin, unclear in spirit, no name in ghost and heavenly realms, although out of reincarnation, cannot return to heaven. They belong to nowhere, only cease to reborn. 2) Human Immortals have not realize the great Dao, they obtained one method, and in one method obtained one skill. They practice whole heartedly, obtain pure spirit and chi, solidify form, immune from human world disease. 3) Earth Immortals follow law of sky and earth’s rising and falling, obtain the number for the manifestation of son and moon. Within the body, observe the changes in annual, monthly, and daily cycles. Understand the dragon and tiger, regulate Kan and Li, differentiate the purity of the water source, use different fire in different times, observe the two opposites, three cores, four phenomenon, five elements, set the six energies, collect the seven treasures, sequence the bagua, circulate the energy, refine the form and stay in the world, achieve long life. 4) Spirit Immortals are Earth Immortal who no longer interest to live in the world. They continue the practice, refine gold and jade, transform form into energy, five energies go back to the source, three Yan gather at the top, when practise complete form is forgotten. Yin ends and Yang is pure, they discover body beyond body, depart from form and rise into immortal, transcend ordinary and become extraordinary, decline the secular world and go back to heaven. 5) Heaven Immortals are Spirit Immortals transcend attachment to stay in heaven. 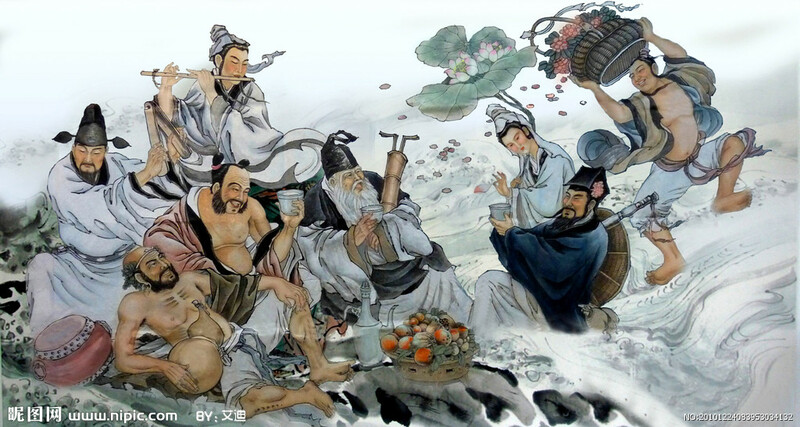 They spread the Dao in human world, continue the deed until the divine work is done, then receive the heavenly summon to go back to the thirty-six heavens, back to eighty-one Yang heavens, to the three purest heavens.